Floridians battle heat, glare and fading of furnishings throughout the entire year. Many new homeowners discover that their rooms get hot throughout the day since there is limited tree shading and some of these trees were lost during Hurricane Irma! 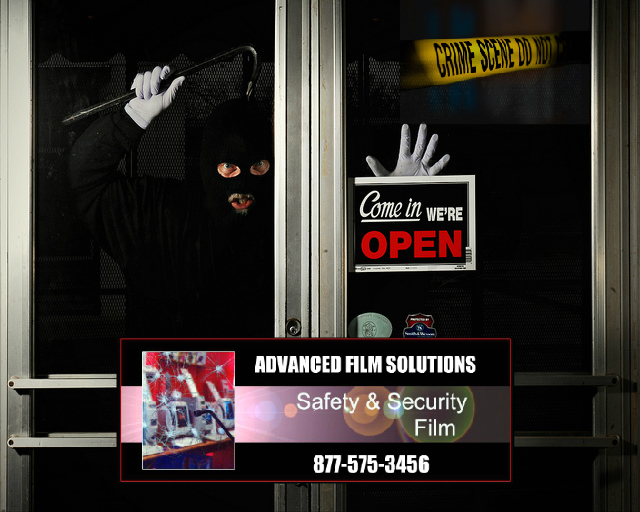 Advanced Film Solutions has a perfect solution. 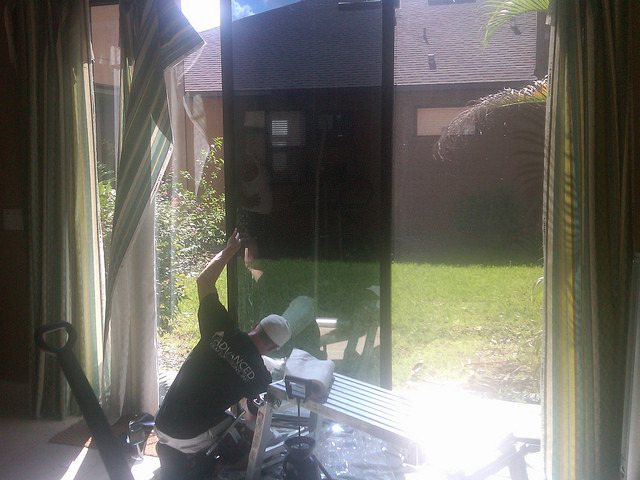 Solar control window film coatings that are applied to the interior side of your existing windows and sliders. These coatings filter heat, glare and UV and various iterations of these films in thicker (8 ML) versions act as a barrier against forced entry and impact. Having glazing protection film with solar control properties makes sense! 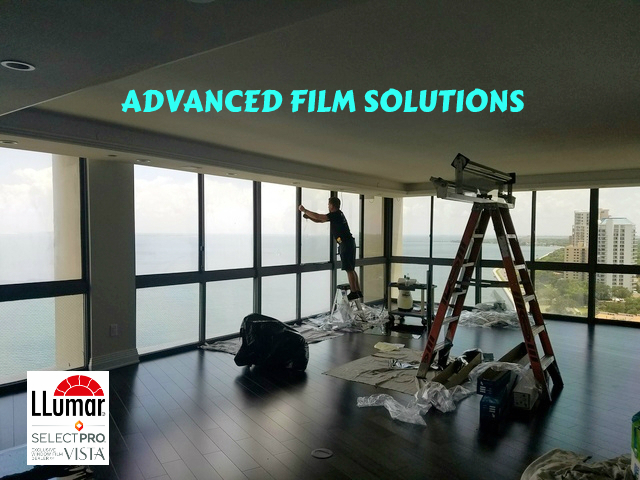 Advanced Film Solutions team of expert installers have completed more than 12,000 home and commercial installations throughout the grater Tampa bay, Sarasota and Orlando areas. Our clients enjoy lower cooling costs, reduced glare and heat and safer more comfortable homes. 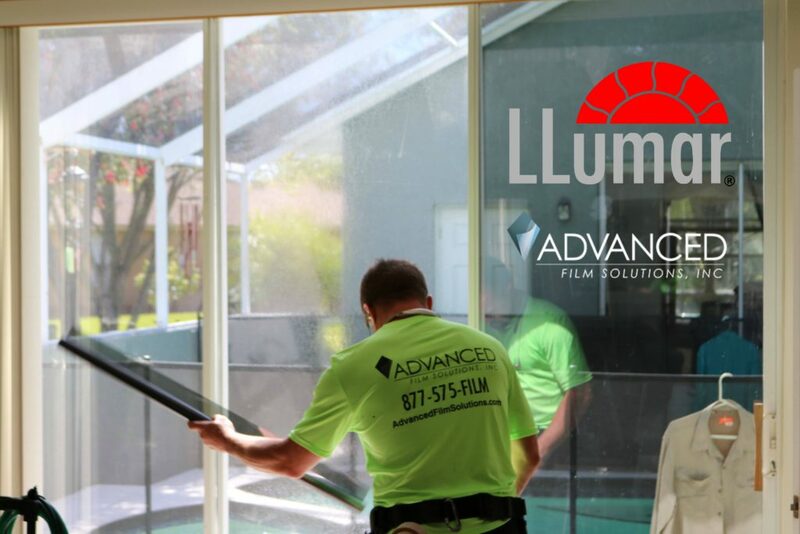 Homeowners know how effective window film can be for maintaining a cooler, energy efficient UV free home. 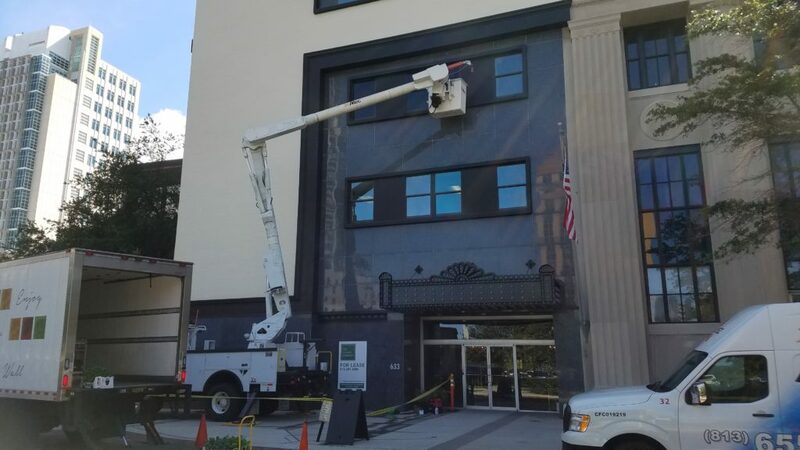 Unfortunately many of the past window film choices required a reflective finish that while effective had a negative aesthetic change to windows and sliders. This reflective appearance also became an issue for deed restricted homes in gated communities and condos. Advanced Film Solutions solves your heat issues, glare UV and rising cooling costs with ceramic IR heat blocking coatings from Huper Optik. 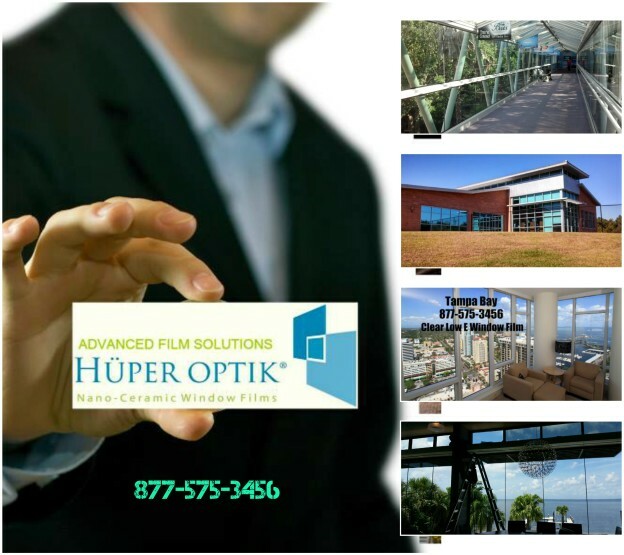 Huper Optik is a patented ceramic film that is manufactured by Eastman Chemical’s in Germany. These films are dye free and durable. 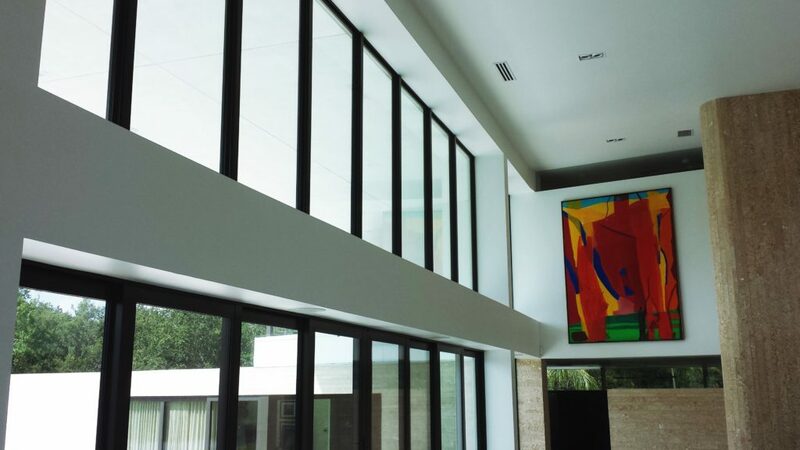 Huper Optik has the best light to heat blocking ratio of any window film. 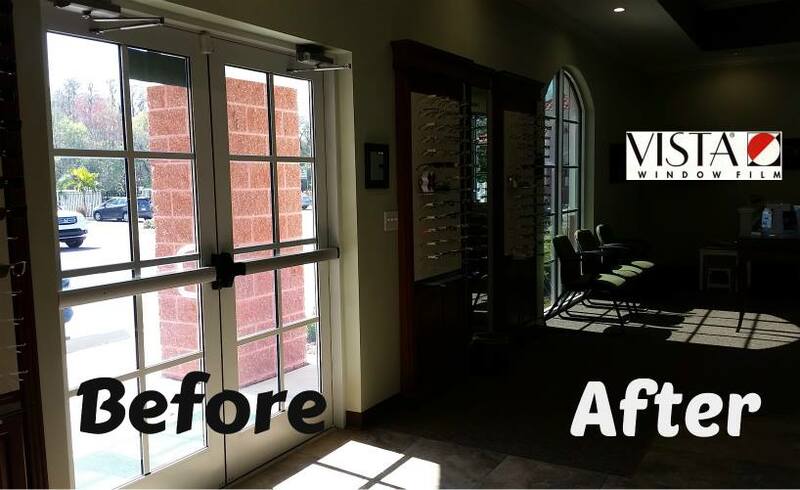 Huper Optik coatings are less reflective than glass so your views won’t be compromised and your warranty will provide a lifetime of comfort. 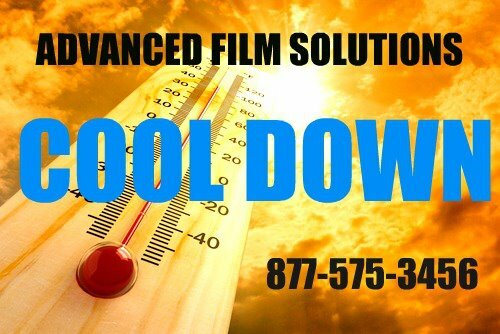 Call Advanced Film Solutions for a free estimate and begin living a cooler life! 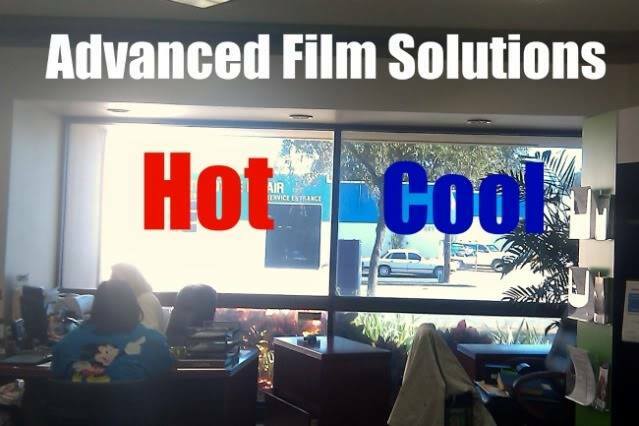 Home and business owners who are strictly concerned with getting the maximum heat rejection to keep their rooms cooler have an array of choices with Advanced Film Solutions window film. 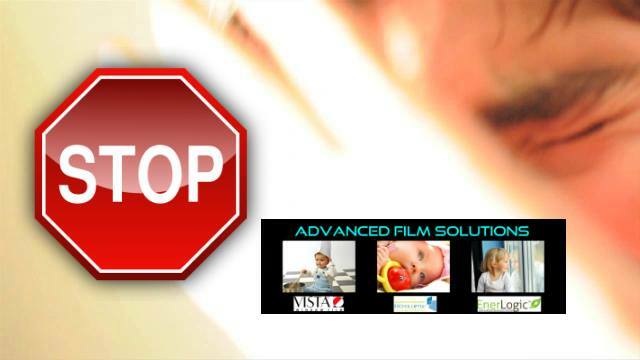 We can provide films that stop an impressive 85% of the heat from entering your home or office. 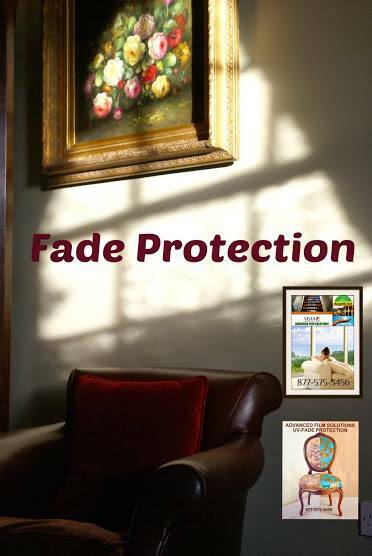 These coatings stop as much as 95% of the glare and 99.9% of the UV. Obviously darkening the glass will provide privacy and that may be a determining factor in your decision making process. 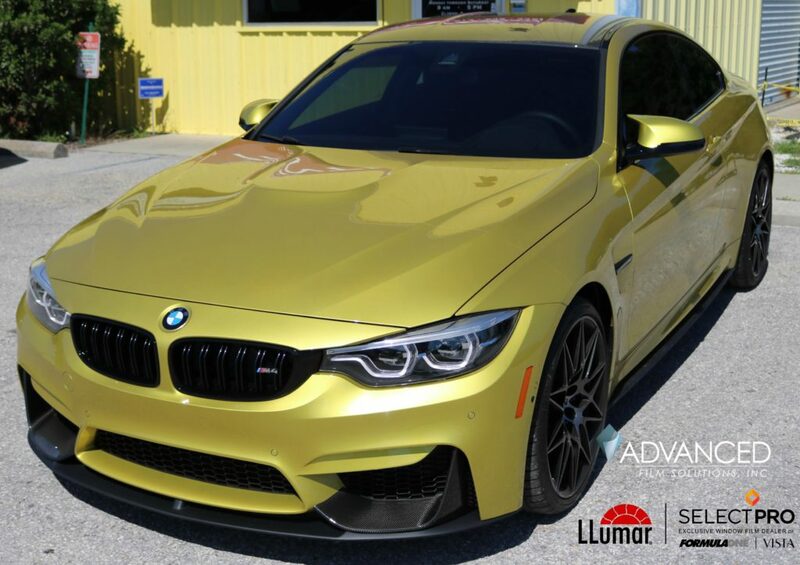 Advanced Film Solutions provides free estimates and our experts will show you lighter coatings that range from 85% to clear nano-ceramic versions. The choice is your to make! Advanced Film Solutions offers coatings that meet all deed restrictions and home owner association rules. 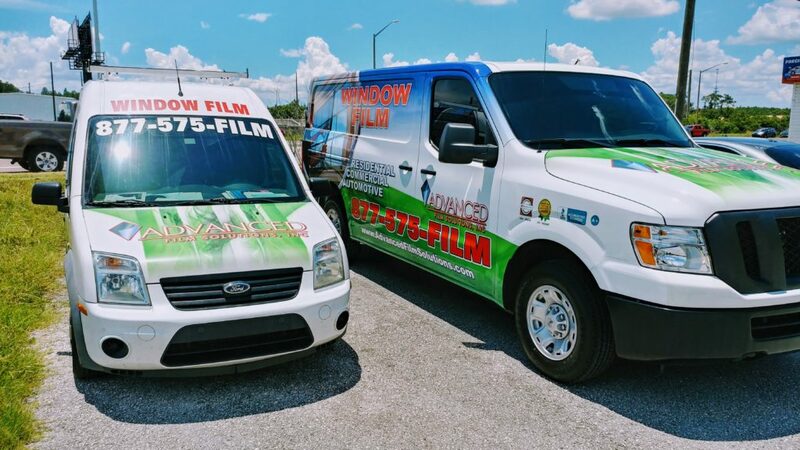 These films are less reflective than glass and they are durable to combat the Florida heat. 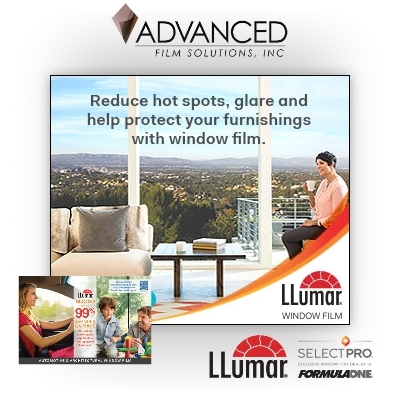 All window films offered by Advanced have a lifetime warranty and our LLumar Select series has a transferable warranty! 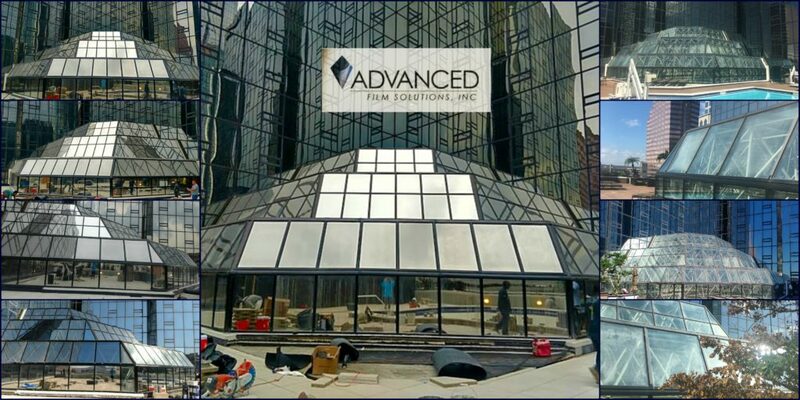 Advanced Film Solutions is the regions leading window film installation company. 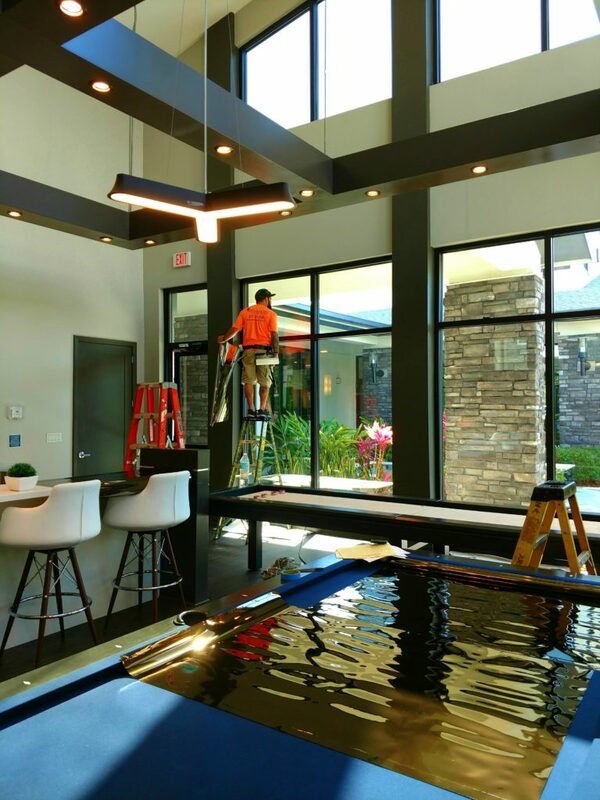 Our team of installers has set our company head and shoulders above our local competitors in providing superior window film solutions. We offer more choices and brands than any other Florida company. These choices provide alternatives for our clients in performance, appearance and investment cost. 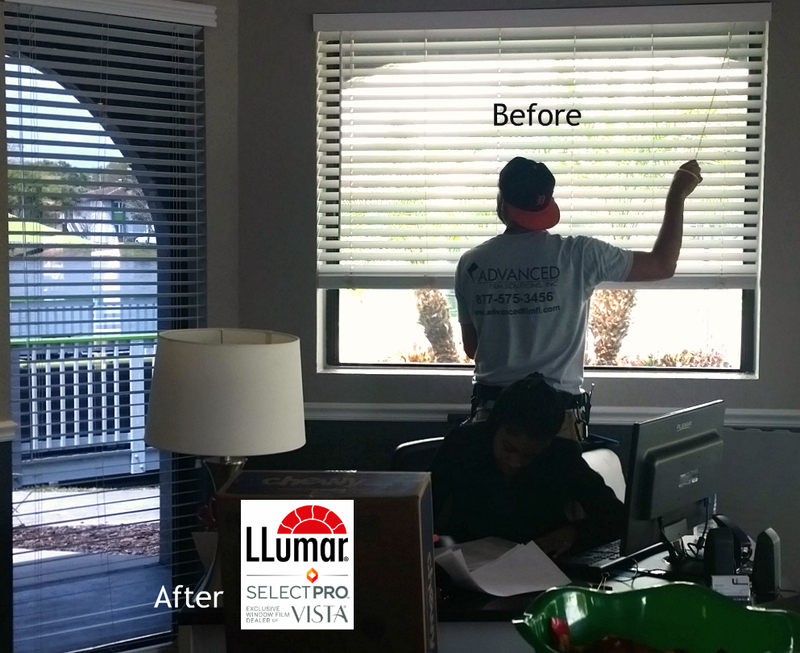 These solar and solar security films will keep tenants cooler and UV free. 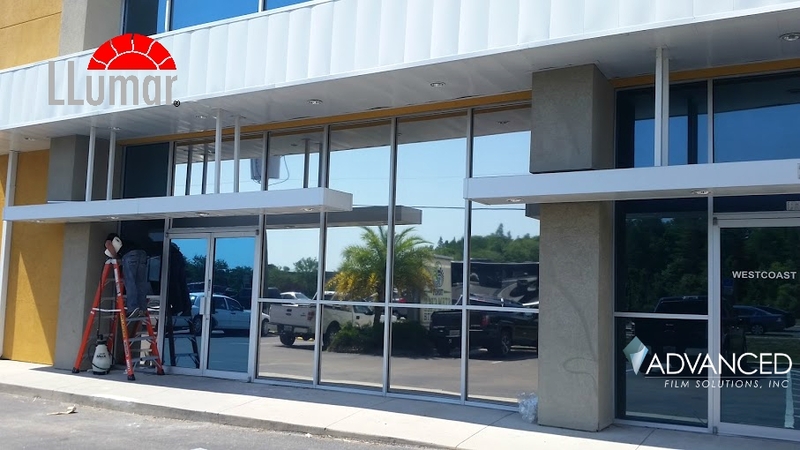 We can remove damaged older window tinting so your clients will have the glare rejection they require, privacy and protection that Florida businesses require. 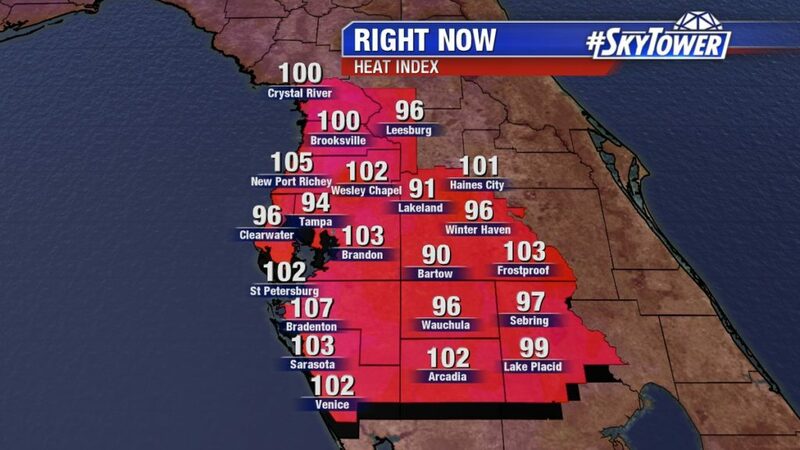 Summer lasts a long time here in the Tampa Bay area. An average car tinting just won’t do enough to keep you cool! 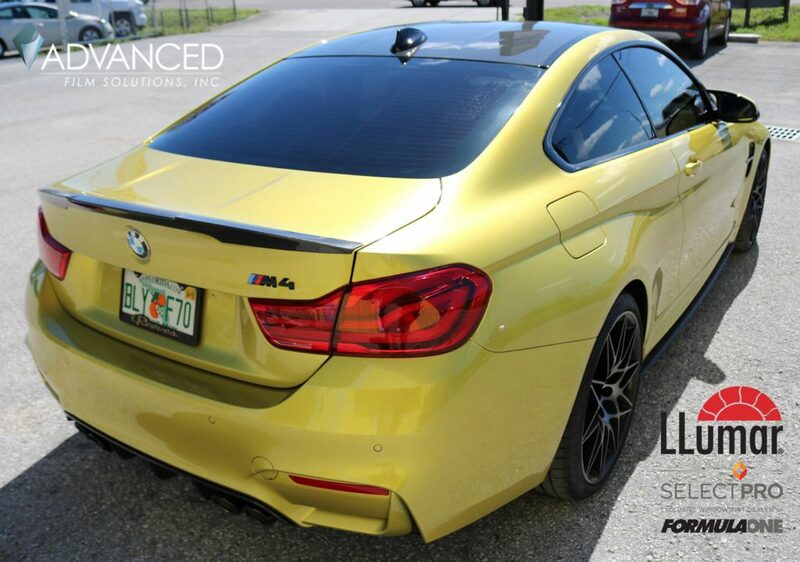 Advanced Film Solutions is Tampa Bay’s LLumar SelectPro FormulaOne car tinting installation company. 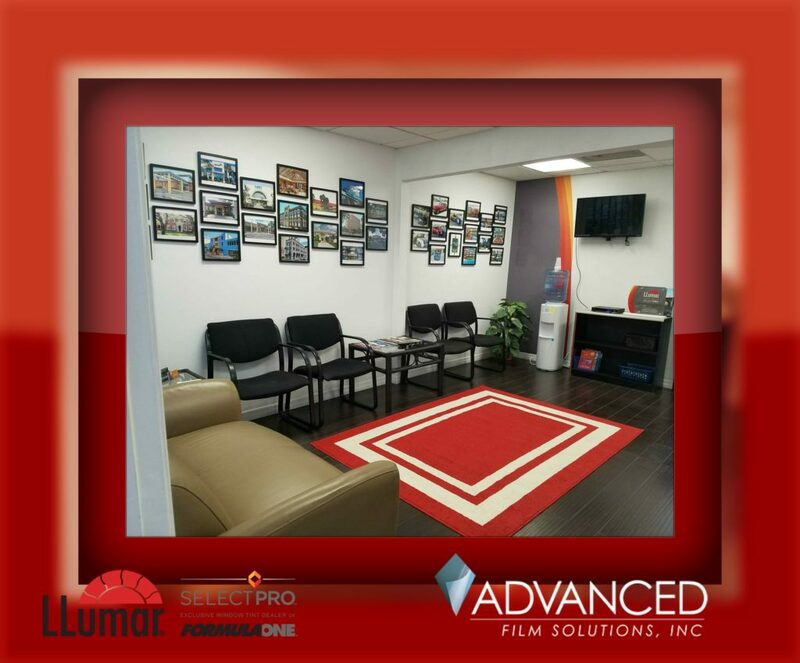 We have high performance films that our local competition can’t match! Ceramic films like Stratos and Pinnacle that stop more heat than any dyed or dyed metal combination films. Lifetime warranted coatings that are durable and scratch resistant. Precision cut plotters and software that make a perfect installation. 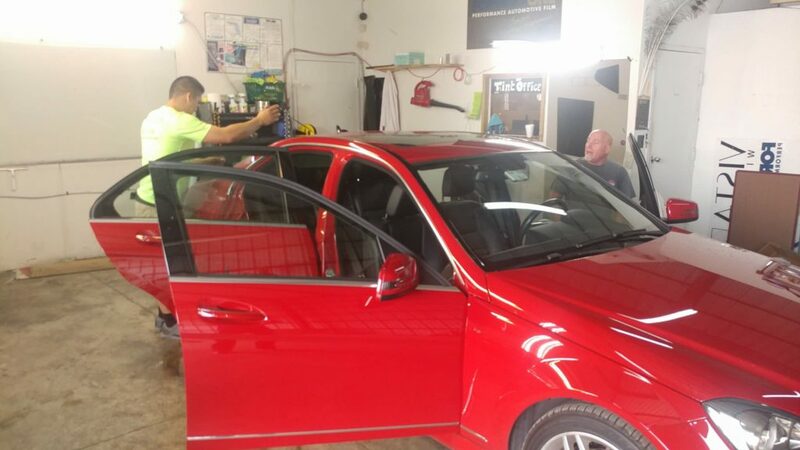 Fully trained and experienced techs who are dedicated to doing car tinting! 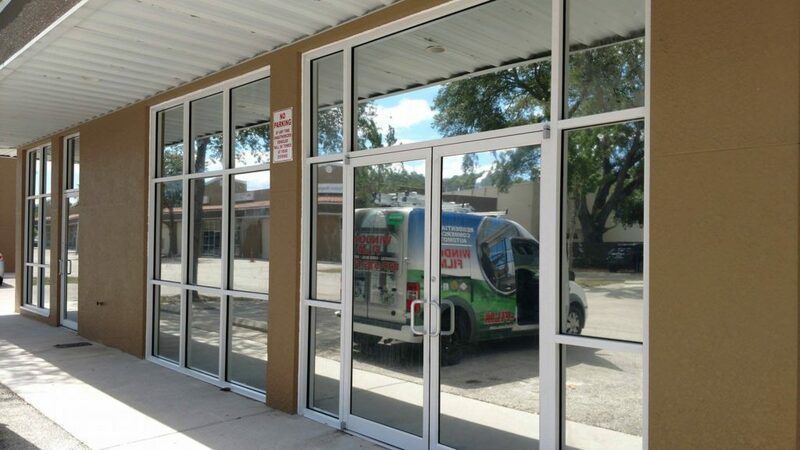 Commercial property managers, business owners and facility managers are keenly aware of the negative outcome of clear glass storefront glass. No security protection from burglary, smash and grab. 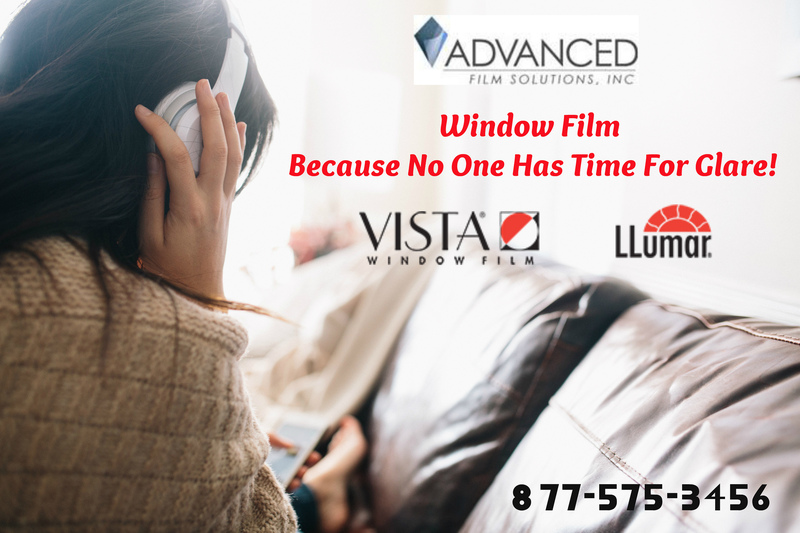 Advanced Film Solutions team of experts can assist you in selecting the ideal window film to solve your problems. 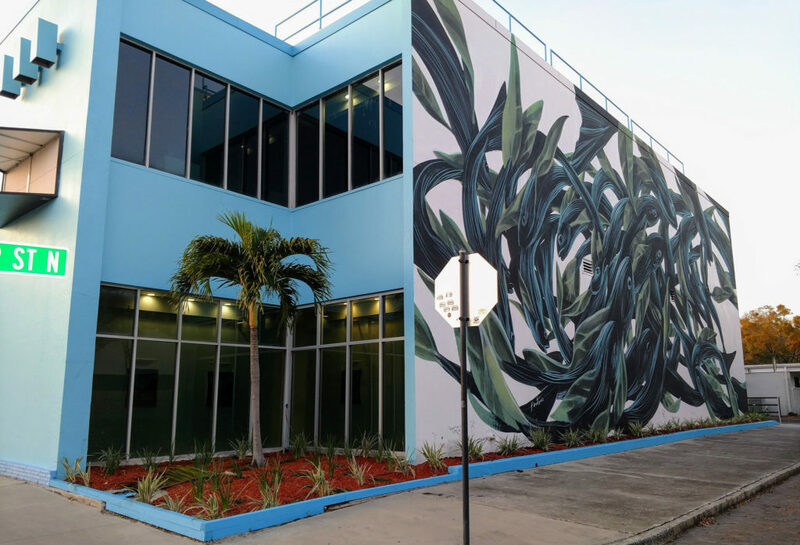 There is a wide variety of choices available and no other window film installation company has as many choices and carries as many major window film brands. 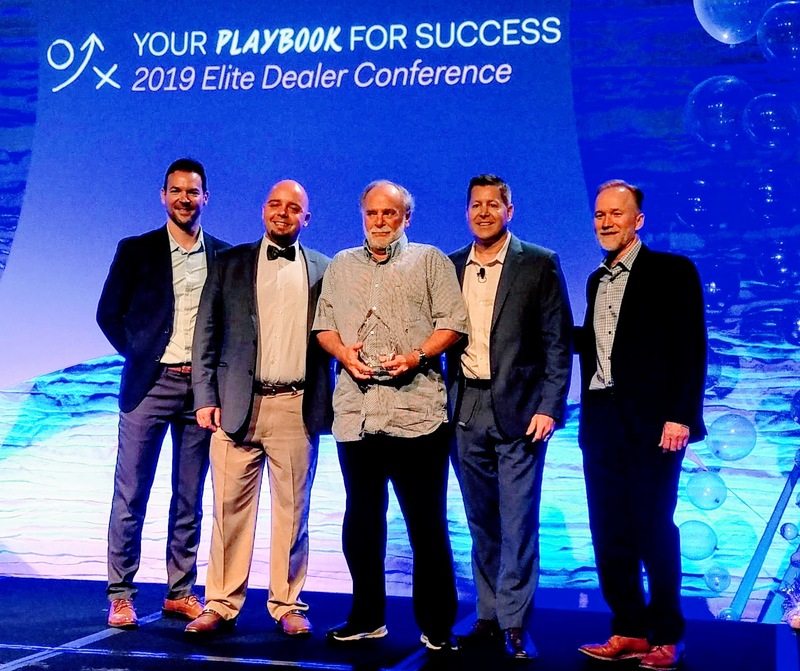 These choices include Eastman Chemical’s LLumar, Vista, Huper Optik and SunTek. 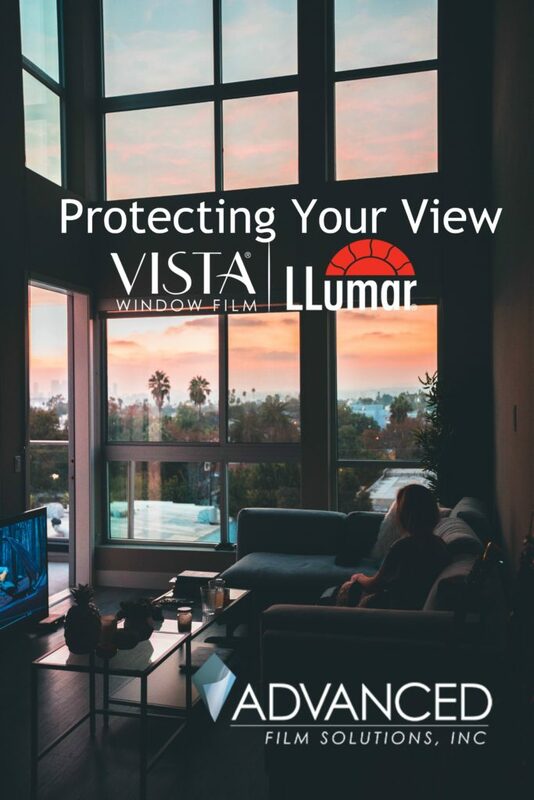 Our solar security protective glazing films include the aforementioned LLumar and Vista Eastman choices along with Armorcoat, Madico, Johnson, Hanita Suntek and Huper Optik. It won’t be getting cooler anytime soon. Now that our kids are home for the summer it just exacerbates the fact that afternoon temps will remain above 95 degrees every single day. There won’t be any relief until November! 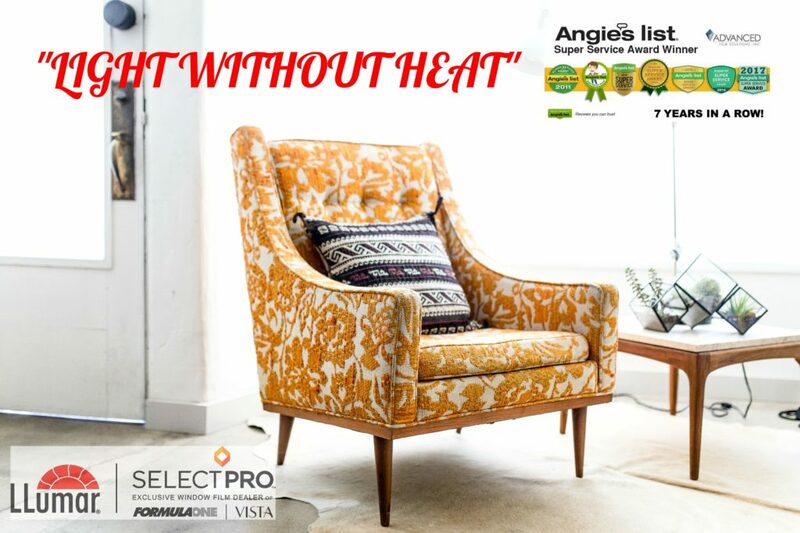 You don’t have to suffer through another steamy hot day in your home again. 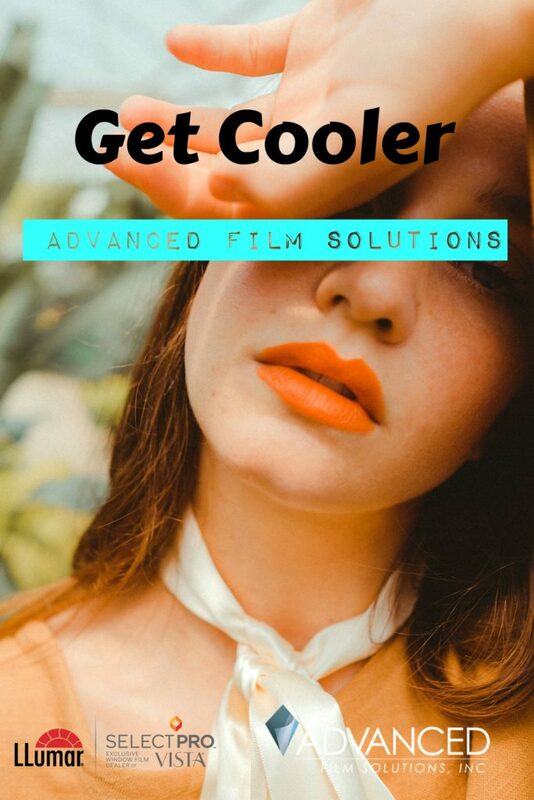 Sun control films are designed for the tropical weather we face every day. 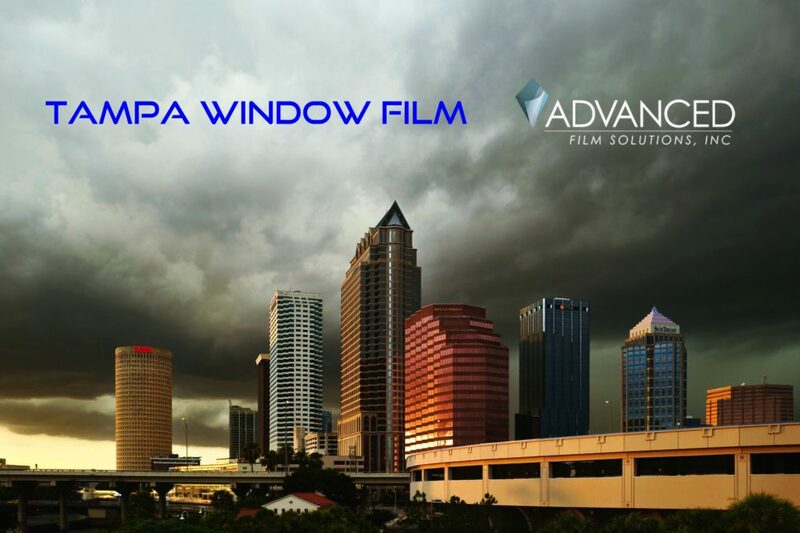 Advanced Film Solutions provides free estimates throughout the Tampa, St. Pete Clearwater region. 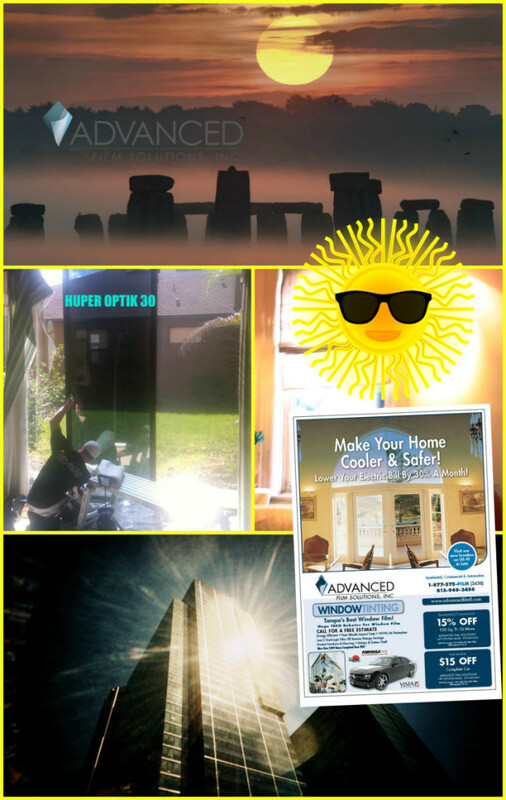 Choices include solar reflective, non reflective and a wide array of solar safety and security films all with lifetime warranty. So hot that we are getting heat warnings because it feels like 110 degrees outside. If your home is getting too hot and your AC isn’t up to the challenge the reason may be the unfiltered heat coming through your glass. 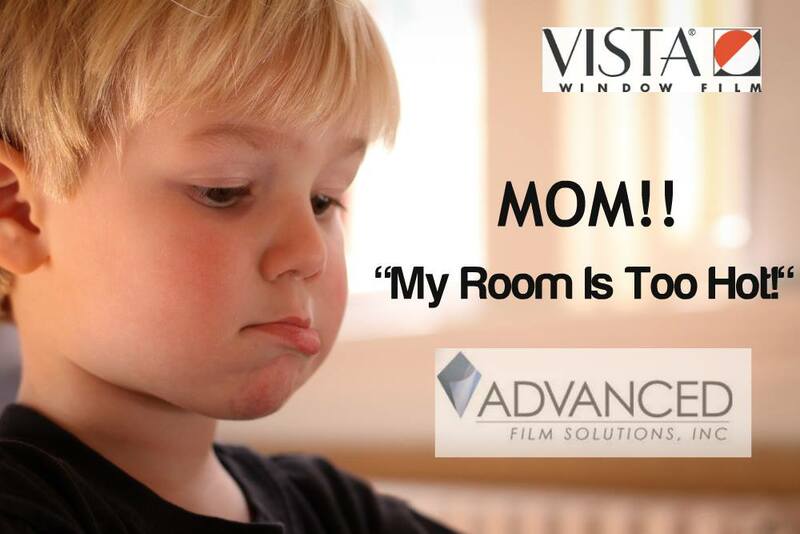 Advanced Film Solutions can stop 85% of that heat from entering through your windows and doors. Clear transparent coatings are applied to your windows. These coatings stop 99.9% of the UV as well as heat and glare. 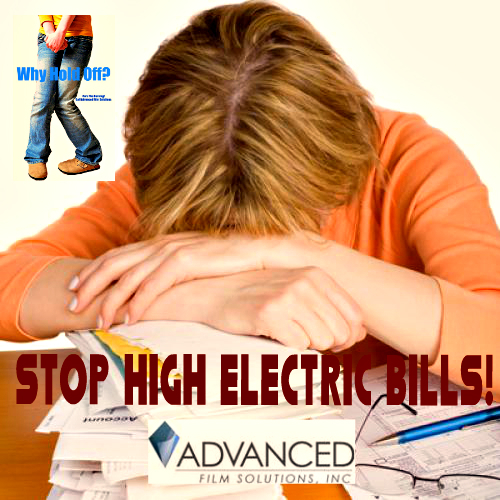 Your AC won’t work as hard to handle the heat and this will lower your monthly electric bills by 30%! We understand that walking or working outside will become a problem very quickly but your family and guests don’t have to suffer inside as well. Window film has documented savings that provide a faster payback than any potential home retrofit for energy savings. It is getting hotter than ever as the recent scientific reports indicate. Most home owners are unfamiliar with the exceptional benefits of solar control window film. Window film is an aftermarket solution that can lower room temperatures by filtering up to 85% of the total solar energy from entering your home. These coatings are applied to the interior side of your windows and sliders. 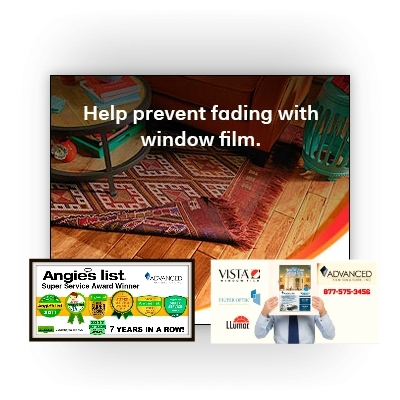 UV is virtually eliminated and these durable films are optically transparent and warranted for a lifetime of functionality. How dark or light the selection is customized for your requirements and aesthetic objectives. Heat is reflected so your monthly electric costs are lowered by as much as 30% a month! 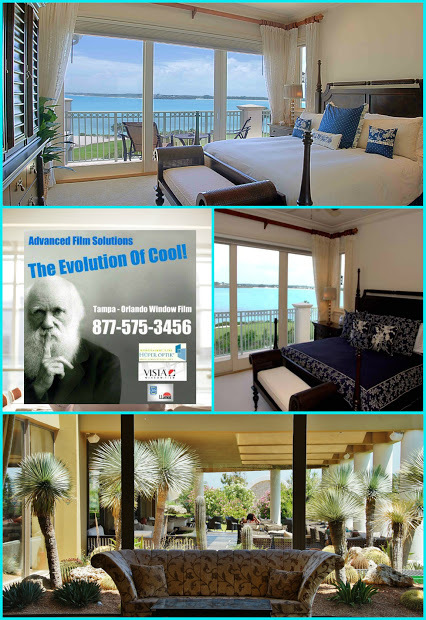 Get a free estimate and enjoy cooler rooms, lower glare and protected fabrics and furnishings from UV. 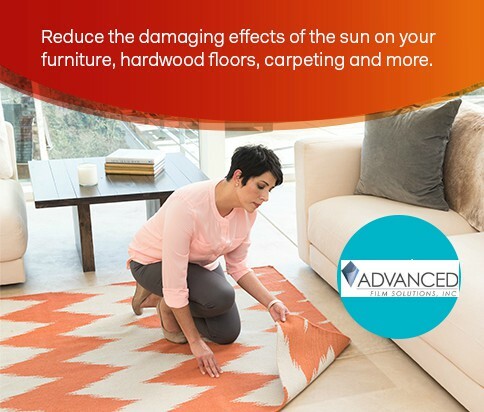 Have you noticed how the bright light streaming through your windows is damaging your floors, carpets and furniture? Your valuables are getting damaged by a toxic combination of UV, light and heat. 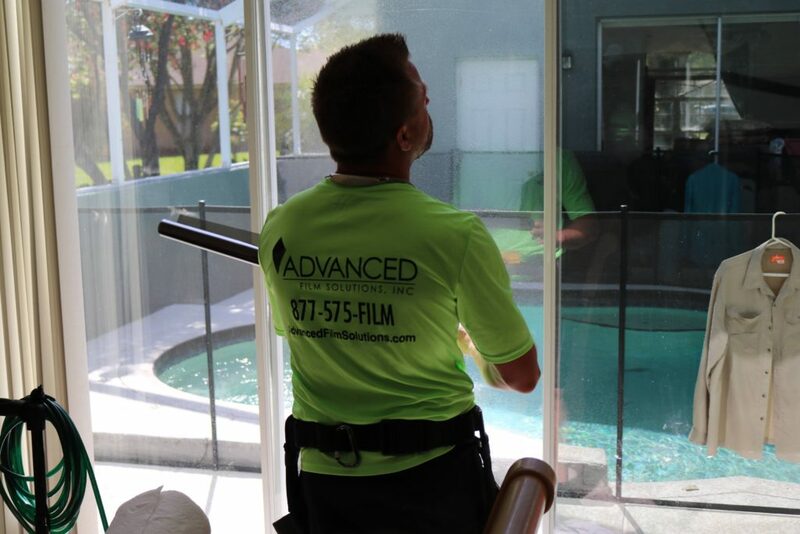 Savvy homeowners throughout Tampa Bay and Orlando fight this fading with Advanced Film Solutions and our wide assortment of sun blocking UV filtering window film. 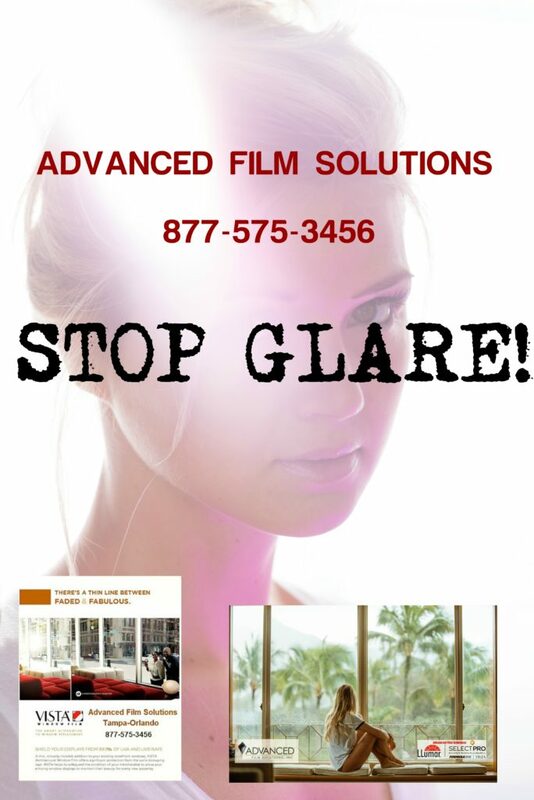 Advanced Film Solutions blocks 99.9% of harmful UV rays and as much as 95% of the light and 85% of the heat. Furnishings will last for years to come and you’ll also enjoy a cooler room and lower utility costs by as much as 35% a month. We offer scores of choices with a wide variety of light transmissions and appearance. All coatings come with a lifetime warranty. 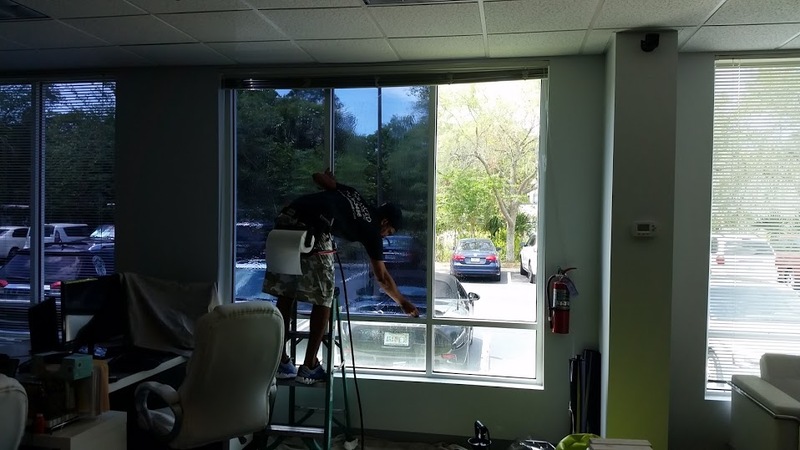 Fight fade and protect your investments with window film!